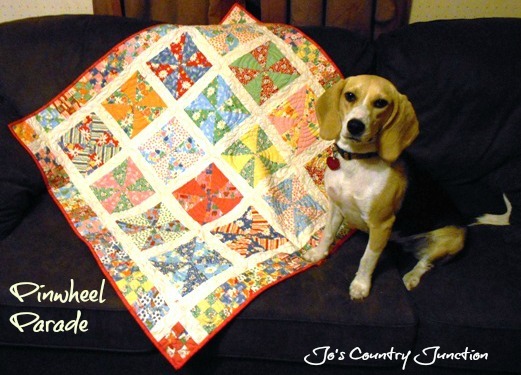 This entry was posted in Finished Projects, Quilting on December 6, 2013 by Jo. Very cute quilt! I put it in my to do folder. I cant wait to make it for my future grandbabies! Thank you for sharing the pattern with us. Very, very cute! Thank you so much for sharing! Thank you for sharing this pattern! This pattern is perfect as I just “deboned” some mens cotton shirts to make a baby boy quilt. I haven’t used recycled shirt fabric before and this pattern will be so cute in the red, white and blue shirt fabrics that I have. Thanks for the pattern…dang cute!! And I agree American Jane fabric makes the cutest baby/kids quilts!! I also LOVE the quilting!!! 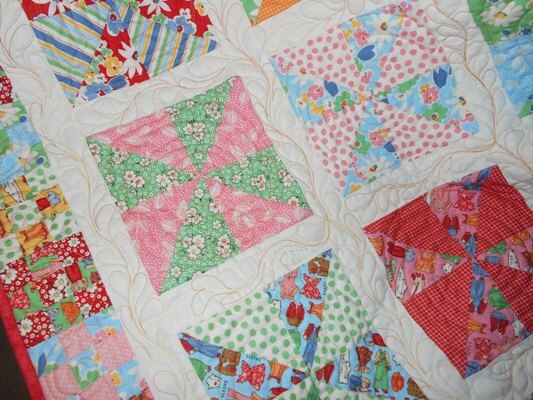 I really like pinwheel quilts. It looks great. Cute pattern, thanks for sharing. 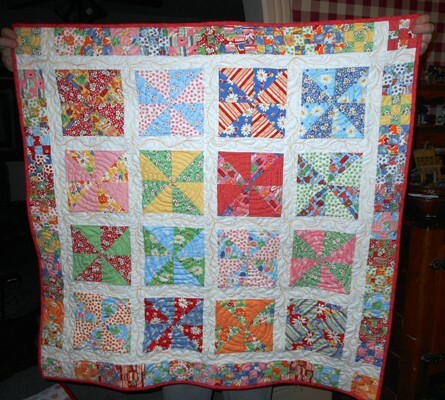 I love the circle quilting in the blocks. Another great pattern and cute cute. Thanks for sharing your great talent. That is a happy, happy quilt!